Introducing the special limited edition last ditch neck knife of The Original Karambite from Max Venom – The Ti-Bite! These limited edition titanium knives feature anodized ultralight Mil Spec titanium and strategically placed jimping for increased retention and secured do-it-yourself paracord wrapping. 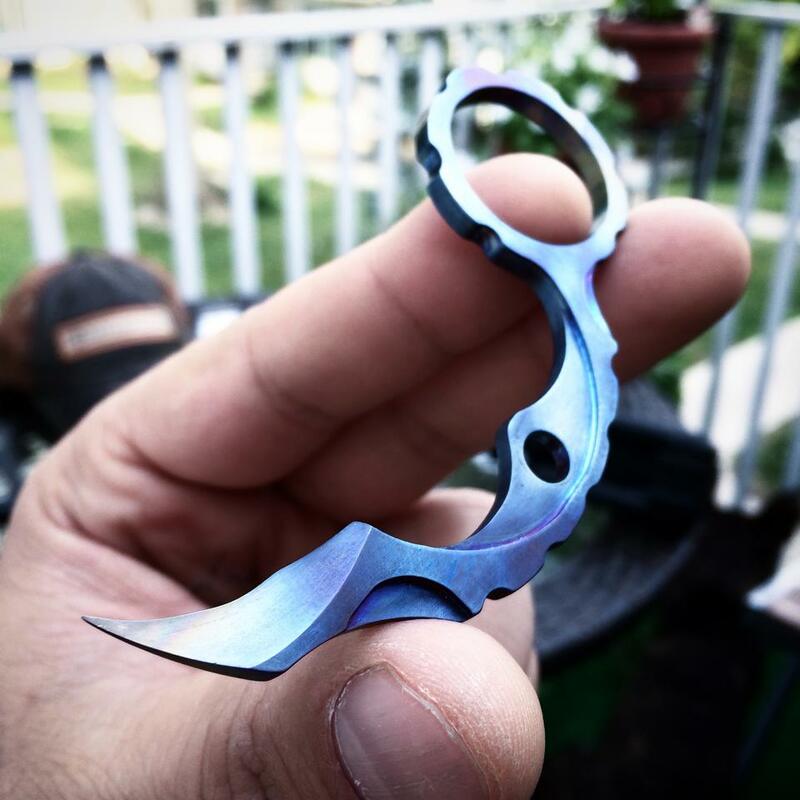 Very limited quanties will be made and they can only be found at Karambit.com, so get yours while you can! Extra Features: Anodized in hues of blue, purple, gold and MORE – No two alike!